I like this house! Bella's Farm House is designed to fit into any HO SCALE railroad layout or diorama and any country setting or small town setting. Recommended for ages 8 and over. 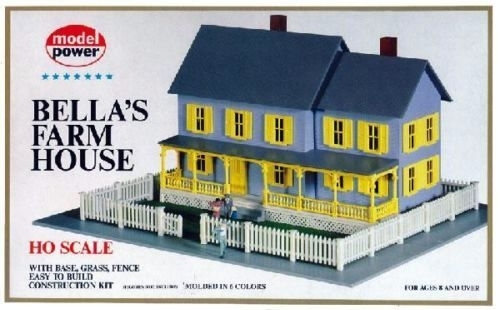 Kit includes a Gray base, Green grass, White picket fence, clear plastic windows.